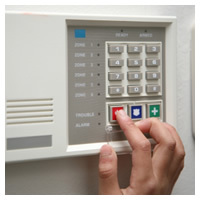 Today’s intruder alarm system needs more flexibility to cater for rapidly changing home and business environments. Our superbly designed, high quality EN 50131-1 compliant systems are fully supported by a complete range of detection equipment to ensure that the safety and security of your people and assets are never compromised. As an NSI Gold company combined with our 24 hour alarm receiving centre, your business is never more than a call away from the police response – in turn, exceeding your insurance companies requirements. All our systems have built in compatibly ensuring we can provide the most effective solutions to integrate all your safety and emergency systems from intruder and fire alarms, access control and CCTV. 01360 770 482, email us at admin@simsecurity.co.uk or fill out our Enquiry Form. We accept enquiries from throughout the United Kingdom.